Although it seems a difficult dish to cook, the result is definitely worth your effort. 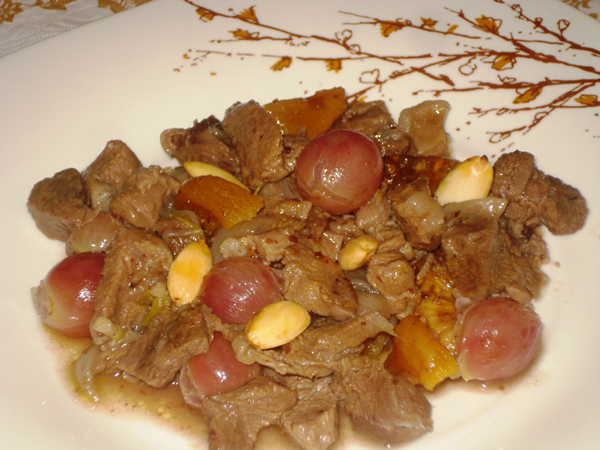 Cook the lamb cubes with butter until their color turns brownish, then add the pearl onions. Cook for 10 mins. Add sumac, sprinkle flour on the lamb, add hot water and vinegar. Cover and cook it around 40-50 mins until the meat gets softer. Then add the grapes, figs, apricots, almonds, honey, salt and pepper. Cook for 5 mins more and turn off the heat. Serve warm. Portugal's Benfica football team defeated Turkey's Fenerbahce 3-1 in a second leg match in the UEFA Europa League semi-final on Thursday. With tonight's win, Benfica advanced to the final game with an aggregate score of 3-2. 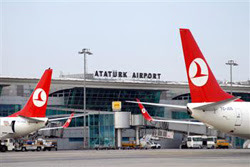 A security guard working for a private company at Istanbul's Atatürk Airport has stolen two sacks containing between 2.5 million and 3.5 million Syrian pounds, Doğan news agency reported May 2. The money was transported on a plane that departed from the southern province of Adana and belonged to a company that specializes in transferring money, company sources, who preferred to remain anonymous, have said. The cargo plane was carrying four different sacks containing the equivalent of 20 million Turkish Liras in euros, dollars and Syrian pounds. The guard, identified as C. G. had legal access to the cargo shipment and took two of the sacks – both containing Syrian currency – put them in the trunk of his private car and fled, according to witnesses. Part of the money was reportedly being transported to Frankfurt, Germany, while the other part was to be transferred to several banks. Google's Android mobile operating system extended its dominance in smartphones in the US and other major markets in early 2013, according to a survey published on Monday. Kantar Worldpanel ComTech said Android was used on 49.3 percent of smartphones sold in the US market in the first quarter, compared to 43.7 percent for Apple's iOS, the operating system for the iPhone. 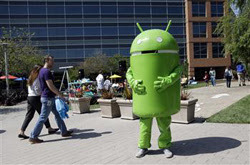 Android has thus boosted its lead from a year ago, when was ahead of Apple by a margin of 47.9 to 44.6 percent. In other major markets, Android was even more dominant -- with 93.5 percent of smartphones in Spain, 73.6 percent in Germany, 69.4 percent in China, and 63.3 percent in France. Japan was the only country in the survey where Apple was in the lead, with a 49.2 percent market share to 45.8 percent for Android. But the survey also showed gains in several countries for a relative outsider, Microsoft's Windows Phone, following the upgraded platform introduced in late 2012. In the United States, Windows boosted its share to 5.6 percent from 3.7 percent a year ago, Kantar said. Windows grabbed 10.9 percent of smartphone sales in Italy, 7.2 percent in France and 7.0 percent in Britain. "As iOS and Android continue to battle it out for top selling smartphone OS, we have seen Windows steadily grow over the past year and is now at its highest sales share figure so far," said Kantar analyst Mary-Ann Parlato. "Windows' strength appears to be the ability to attract first time smartphone buyers, upgrading from a featurephone," she said, adding that this means prospects are positive for Windows, especially in the United States. Turkish President Abdullah Gül approved Turkey’s much debated fourth judicial package, which had passed into law by Parliament on April 11. The package is intended to eliminate rulings against Turkey in the European Court of Human Rights (ECHR) for human rights violations, especially regarding the situation of convicts charged with membership in a terrorist organization. Süleyman the Magnificent's favorite concubine, Hürrem Sultan, has a new rival. She comes from Greece, she may not have a part in the audience ratings-breaking hit TV show "Muhteşem Yüzyıl (The Magnificent Century), but famous and coquettish as well, she has her mind set on stealing the Ottoman ruler's heart. The Turkish soap opera has gained so much popularity in Greece that pop singer Efi Thodi has released a new song based on the series' protagonists. In her song "Oh Süleyman," Thodi declares her love for the sultan, asking him openly to leave his sweetheart Hürrem, and luring him with a delicious kebab and meze feast. The song has raised some eyebrows in her country, but Thodi has not flinched to criticism saying that the song intended to be ironic. "Oh Süleyman, forget your harem. Leave Hürrem and come to heaven's gardens. Though I am a western woman, I'll be your slave and cook you imam bayıldı and kebabs," the song says, mentioning the eggplant meze that is one of the musts on the sultan's table. Boston bombing suspect Dzhokhar Tsarnaev drove over his dying brother to escape a gunbattle with police, the police chief of the town where the manhunt ended said Saturday. Dzhokhar and Tamerlan Tsarnaev also hurled a pressure cooker bomb, like one used in the marathon attack, at officers chasing them in the early hours of Friday, Watertown's police chief Edward Devau told CNN. Tamerlan Tsarnaev, 26, died in the shootout while his brother, 19, eluded capture until late Friday, when he was found hiding in a boat in Watertown. Devau told how Dzhokhar ran over his brother, dragging the body down the street as he escaped from police, who had trapped the older brother. The suspects were involved in the killing of a police officer at Massachusetts Institute of Technology and then stole a Mercedes, sparking a chase to Watertown, in the Boston suburbs, according to the police account. Devau said two off-duty police were helping four officers who confronted the brothers in the overnight shootout. "We estimate that over 200 shots were fired over a five-to-10 minute period," Devau said, adding that the brothers also hurled a pressure cooker bomb and other homemade explosives. "We found a pressure cooker embedded in a car down the street" after it caused "a major explosion during this gunfight," Devau said. Two homemade grenades exploded and two others failed to go off. Another device was found in an abandoned car, he said. Devau told how Tamerlan Tsarnaev suddenly emerged "and just starts walking down the street shooting at our police officers trying to get closer." When the suspected bomber ran out of ammunition, two or three police overpowered him and were trying to handcuff him when the other brother drove the carjacked black Mercedes at them, said the police chief. "One of them yells 'look out," said Devau. "They dive out of the way and he runs over his brother and drags him a short distance down the street." Doctors officially pronounced Tamerlan dead at the hospital, where his brother is now being treated. Dzhokhar drove off amid more gunfire, but two or three streets down, "he dumps the car and runs into the darkness in the streets. Then we lost contact with him," said Devau. Dzhokhar Tsarnaev was eventually cornered, wounded and hiding in a boat that was being stored in someone's backyard. Devau said that the suspect made no statement at the scene. 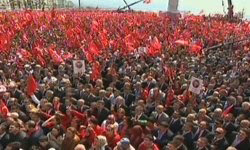 The opposition Nationalist Movement Party (MHP) organized a meeting against the current peace process on the Kurdish issue initiated by the government in İzmir April 20, attracting thousands of people in a town known to view the ongoing talks with the outlawed Kurdistan Workers’ Party (PKK) with skepticism. Huge crowds waved Turkish flags and held photographs of soldiers killed during clashes with PKK militants. The city is bastion of the main opposition Republican People’s Party (CHP), but it is also home to a large population of Kurds who have migrated from the east to find work. As a fierce opponent of the talks, MHP leader Devlet Bahçeli has initiated a series of nine meetings in nine different cities, branded “Protect and Cherish National Values” meetings. The first was held in Bursa on March 23. Describing the İzmir meeting, the second on the agenda, as the “flag meeting,” Bahçeli slammed critics who said supporters of the process outnumbered those who rejected it. “We will not give permission to those who try to tear [the Turkish flag] apart. Because it’s the symbol of our independence,” Bahçeli said. He also intensified his criticism of the 63 "wise persons" selected by the government to win public support for the process. “The PKK’s ambassadors, half intellectuals, terror peddlers, blood barons, death mongers, the immorals who speak seditiously of 'solutions' and 'peace' should fear this noise. These 63 should fear. They should quickly stop creating dissension,” he said. Bahçeli also attacked Prime Minister Erdoğan. “If surrendering to the terrorist organization will bring spring, why did we fight for 29 years. Some thoughts about this, Mr. Erdoğan,” he said. 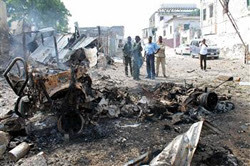 At least 16 people were killed as two car bombs exploded outside the law courts in Somalia’s capital Mogadishu and gunmen stormed the building today, witnesses said, as the driver of a Turkish Red Cressent vehicle was also killed according to sources. A car bomb exploded at a building housing Somali intelligence along the road to the airport as Turkish and African Union (AU) vehicles were passing, police and witnesses said. Turkish convoy’s driver died and three Turks were slightly injured in the incident, according to Turkish sources. Wounded Turks were taken to Şifa hospital in Mogadishu. “Everything can happen in Mogadishu conditions. I hope this attack is not directed on Turkish staff,” a Turkish source told Hürriyet Daily News in condition of anonymity. Turkish Red Cressent said in a written statement that they have lost a Somali origined staff and three Turkish staff were injured in the bombings. Turks who got injured were announced as Kenan Kongur, Murat Demirbaş and Fatih Çelik by the aid organization. The Red Cressent also said that the injured Turks will be broughten to Turkey by air ambulance. It was not immediately clear who carried out the attacks, but al Shabaab militants linked to al Qaeda have claimed responsibility for a number of suicide bombings in Mogadishu this year. “About seven well-armed men in government uniform entered the court today as soon as a car bomb exploded at the gate. We thought they were government soldiers,” said Aden Sabdow, who works at the mayor’s office adjacent to the court. “Armed men entered the court and then we heard a blast. Then they started opening fire,” said Hussein Ali, who works at the courts. Somali forces arrived and besieged the court compound and there was a second blast while shots continued to ring out. A large blast hit an area near Mogadishu airport hours later, residents said. Despite a string of losses in recent months, the Shebab remain a potent threat, still controlling rural areas as well as carrying out guerrilla attacks in areas apparently under government control. Somalia has been ravaged by conflict since 1991, but a new UN-backed government took power last year, ending eight years of transitional rule by a corruption-riddled administration. 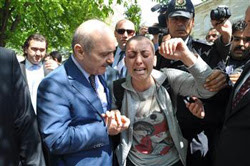 A cancer patient waiting for Turkish Environment and Urban Planning Minister Erdoğan Bayraktar today in front of the Selimiye Mosque in Edirne to reach out to him, burst into tears as she was offended by his clumsy gesture to her appeal. Bayraktar was on his way to pray at the historical mosque when a young woman with her hair cut very short – like many patients who have received chemotherapy – approached him. She took his hand, desperately requesting help with the supply of her medicine from abroad. A little bit confused, Bayraktar put some money in her pocket. “Take this money. What else can I do? Buy it yourself. Don’t drop the money from your pocket,” he told her. His gesture did nothing but upset the cancer patient. When the minister entered the mosque, the woman waited for him outside. As Bayraktar walked out of Selimiye, his bodyguards seized her by her arms to discourage her. She still managed to approach him again and handed him back the money. “I was misunderstood. I am not a beggar. I have been disappointed about human kindness again. I can see that you never experienced what it feels like to be helpless,” she said, bursting into tears. “Let me help you, my daughter, what do you want?” the minister asked, but the woman ran away. Then Bayraktar told the reporter that he did not mean to offend the woman, adding that Edirne’s mayor would personally attend to the supply of her medicine. An investigation will be launched to look into the coalition of Nationalist Movement Party (MHP) leader Devlet Bahçeli’s time, Turkish Prime Minister Recep Tayyip Erdoğan said during his return flight from Mongolia. Erdoğan said the MHP leader challenged him on a commission that would be formed to look into the coalition of his time, daily Hürriyet reported, despite the questionable losses of the banks at the time. Bahçeli has been voicing strong criticism against the ruling party’s decisions in accordance with the ongoing peace project, accusing the government of running separate U.S.-led agendas. "A wise person is someone who does not rent his mind," Republican People’s Party’s (CHP) leader Kemal Kılıçdaroğlu said. The leader of the Turkish main opposition has slammed the Wise Persons Commission members, who recently kicked off their nationwide meetings by conducting their first visits since being assigned the beginning of the month. “A wise person is someone who does not rent his mind, someone who does not enter into the service of the government,” Republican People’s Party’s (CHP) leader Kemal Kılıçdaroğlu said April 13 at the inauguration of a thermal power plant in Turkey’s coal mining capital Zonguldak. 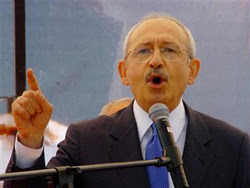 Kılıçdaroğlu argued that the Wise Persons would not transmit any different message than the government’s own stance. “A wise person does not do what a parrot does. He does not visit the whole country to repeat what somebody says,” he added. German Chancellor Angela Merkel arrived today in Turkey with a hectic agenda for talks with Turkish officials that will include discussions on the Syrian crisis, EU accession talks, the anti-terror fight and commercial ties. 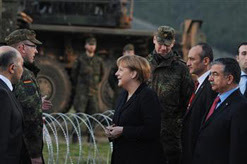 Merkel met with German soldiers deployed to operate Patriot missile defense systems in the southern province of Kahramanmaraş, where 300 German soldiers have been deployed along with two units of Patriot defense systems, a day after the defense ministers of Turkey, Germany and the Netherlands visited the systems in Adana and Kahramanmaraş. The chancellor will then proceed to the Central Anatolian province of Nevşehir to make a touristic visit. Merkel will tour Göreme National Park in Nevşehir and travel to Ankara to start the official leg of her trip, during which she will meet President Abdullah Gül and Prime Minister Recep Tayyip Erdoğan. She will also pay her respects to Mustafa Kemal Atatürk with a visit to his mausoleum, Anıtkabir. Among the issues to be discussed between Erdoğan and Merkel are recent developments in Syria and other regional issues, all dimensions of bilateral ties, Turkey’s EU process, as well as Turkey’s efforts to renew its Constitution and solve the Kurdish question. Before her visit, Merkel said Feb. 23 that she favored new talks to revive Turkey’s stalled EU membership bid. Yet Merkel, who favors a “privileged partnership” for Turkey in place of full EU membership, stressed the outcome of Ankara’s talks with Brussels should be open, and she remained skeptical about whether Turkey should join. Turkey has complained about Berlin’s lack of support for its EU hopes and has accused the EU of double standards in conducting negotiations without full membership in mind. French President François Hollande said last week he was ready to unblock talks on the “chapter” or policy area dealing with help for EU regions. “It is clear to most people in my party that the idea of ‘privileged partnership’ is defunct,” Ruprecht Polenz, head of the CDU’s parliamentary foreign affairs committee, told daily Berliner Zeitung on Feb. 23. Instead, people should accept that negotiations will ultimately lead to membership. Merkel will also hold talks with German and Turkish business representatives and take part in a German-Turkish economic forum in Ankara. The high-level business delegation accompanying the chancellor and her participation in the Turkish-German business forum indicates that the main topic of the discussions will be corporate-related, including the recent anger of the Turkish government to German carmaker Volkswagen. Another corporate issue likely to be discussed by the leaders might be the possibility of a partnership between national flag carrier Turkish Airlines and German air carrier Lufthansa, which was first mentioned by Merkel. Merkel had suggested the establishment of joint administration of the two carriers during Erdoğan’s visit to Germany in November 2012, drawing approval from the prime minister. Taxi fares in Istanbul were raised by eight percent, daily Hürriyet reported. The new fares will go into effect Feb. 23. According to the new tariff, taxi meters will see a starting flat rate of 2.95 Turkish Liras, up from 2.70 liras. Also, the rate per kilometer will increase from 1.73 liras to 1.83 liras. The new tariff has also introduced other changes to taxi fares. According to Istanbul Chamber of Taxi Drivers Chair Yahya Uğur, the charge for any waiting period will start the first moment the taxi waits, unlike the older practice in which the fare for the first minute of the waiting period was 30 kurus. Also, a taxi traveling with a speed between 0-10 kilometers will charge passengers a waiting fare. Uğur said the decision to raise taxi fares was made during a meeting of the Transportation and Coordination Center (UKOME) held on Jan. 31. According to Uğur, the last raise in taxi fares was made in November, 2011. “Over the last 14 months, fuel prices increased by 13 to 14 percent. Within the same period, the price of vehicles increased by 20 percent, while the costs of replacement parts increased by 23 percent and tires increased by 20 percent,” he said. A long-expected Cabinet reshuffle took place late yesterday that included four ministries with the most important change occurring at the Interior Ministry as the much-criticized İdris Naim Şahin left his post to Muammer Güler, a Mardin deputy of the ruling party and a former governor. With the reshuffle, Ömer Çelik, the right arm of Prime Minister Recep Tayyip Erdoğan, joined the Cabinet for the first time since 2002. The changes came at a moment when the government launched a new process to reconcile with the country’s Kurds. Culture and Tourism Minister Ertuğrul Günay was replaced by Ömer Çelik, the head of the Justice and Development Party’s (AKP) foreign relations department; Education Minister Ömer Dinçer by Nabi Avcı and Health Minister Recep Akdağ by Edirne Deputy Dr. Mehmet Müezzinoğlu. The Cabinet change was announced after Erdoğan submitted changes to President Abdullah Gül during their weekly meeting late yesterday. There are unconfirmed reports that Erdoğan wanted to change more names from the Cabinet but that he was stopped from doing so by Gül. The timing of the reshuffle is critically important as it came at the outset of the new peace process between the government and Abdullah Öcalan, imprisoned leader of the outlawed Kurdistan Workers’ Party (PKK), with the objective of disarming terrorists and solving the Kurdish question. Removing Şahin from the Cabinet would strengthen Erdoğan’s hand in this process, as the outgoing minister had drawn strong reactions from Kurdish politicians due to his ultranationalist rhetoric. Although Güler comes from a security-oriented background, he will have a much lower profile in this process. He is known to be a man of duty and he is unlikely to do things without Erdoğan’s knowledge. Çelik will also play an important role in the Cabinet, particularly in the course of this process, as he is one of the leading architects of reconciliation talks with Öcalan. Avcı was also always among Erdoğan’s A-team from the very beginning and served as his press advisor for years. Likewise, Müezzinoğlu is one Erdoğan’s closest aides and had served as the head of the Istanbul branch of the AKP. The overall reshuffle shows that Erdoğan wanted to gather his best men around himself, especially at this critical time and on the eve of three consecutive elections slated for 2014. Hours before the changes were announced, Günay bid farewell to his ministry staff through his Twitter account. Günay found himself abandoned on a number of issues in the last one-and-half year, such as the banning of the State Theaters, or removing the statutes that Erdoğan disliked. Günay entered into the Cabinet after the elections in 2007. He was a former secretary-general of the Republican People’s Party (CHP). Dinçer oversaw important educational reform to end restrictions on religious vocational schools, but his failure in overcoming the major problem of non-recruitment of new teachers caused problems for the party. Akdağ was one of the longest-served ministers of the Cabinet, since 2002.
Who are the new ministers? Güler was the head of Parliament’s Interior Affairs Commission. Güler served as Istanbul governor between 2003 and 2010. Before he became a lawmaker, Güler was the Public Security Secretary, which was founded as part of the government’s Kurdish initiative strategy in 2010. The opposition accused Güler of negligence in his duty over the assassination of Turkish-Armenian journalist Hrant Dink in 2007 when he was Istanbul governor. Çelik has served as deputy leader responsible for foreign relations of the AKP. Çelik had been the political adviser of Erdoğan since 2002. 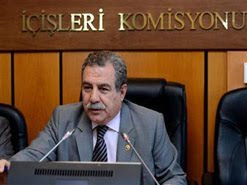 Avcı was the chairman of Parliament’s Education Commission. He chaired the controversial commission meetings of the much-criticized education reform. Müezzinoğlu is the former Istanbul provincial chairman of the AKP and a close fellow of Erdoğan. He is a medical doctor. A change in the Turkish Cabinet has been the talk of the town for the last two months in the capital Ankara. Two of the new names in the Cabinet have been working among Prime Minister Recep Tayyip Erdoğan’s closest team of advisors from day one. Nabi Avcı, one of the ideologues of the ruling Justice and Development Party (AKP) is now the education minister, replacing Erdoğan’s former undersecretary, Ömer Dinçer, who was the target of criticism over the problematic appointments of school teachers and other bureaucratic problems. Çelik, Erdoğan’s deputy in the party in charge of foreign relations, is now the new culture and tourism minister. He replaced Ertuğrul Günay, a successful minister in general with a social democratic background, but who was relatively outspoken in criticizing Erdoğan. Muammer Güler is a former governor of Istanbul and the first undersecretary of public security. Being a deputy from the southeastern province of Mardin, which borders Syria, Güler is a moderate name according to the standards of security people, especially when compared to the man he replaced, İdris Naim Şahin, a hardliner, particularly on Kurdish policies. Mehmet Müezzinoğlu, himself a physician like Recep Akdağ whom he replaced as health minister, is another moderate and modest name. Yet he has an interesting personal background. Born in Komotini, Greece, he is the child of an immigrant family and a former activist for the rights of Turks and people of Muslim origin in the Balkans and also speaks English, Greek and Arabic. Cats make most of the Internet and get fans from all around the world thanks to their owners. The Internet has become a haven for cats, as nearly every day another feline becomes an international phenomenon online. Cats like Maru, Cooper, Mawin Hope and Grumpy Cat are among the world’s most famous, while Kedi Zihni and Kedicik Arda are the most prominent Turkish cats. “Sometimes I think I should just forget it all and go, but then they give me some wet cat food, so I eat it and have a snooze.” This is the motto of Turkey’s acclaimed Internet cat, Kedi Zihni. Zihni is a male Chinchilla cat owned by a screenwriter and creative director couple living in Istanbul’s Beşiktaş neighborhood. Zihni’s online “commentary” on current events and developments in oftentimes humorous language has earned him a dedicated following of nearly 14,000 people on Facebook. Cat lovers who discover Zihni are hard-pressed not to follow him as well, as the social media-savvy feline boasts thousands of followers on Instagram and Twitter. Though Zihni says “my most dedicated follower is my tail,” he also has a big fan in Kedicik Arda, a male Iranian cat living in Germany. Arda, who goes by the moniker “bubble head,” appears more naive than Zihni, wanting nothing to do with current events and opting instead to regularly send his love and kisses to everyone commenting on his photos. He also comments on almost all posts by Zihni. While Arda has a more international following than Zihni, only around 900 people are following his Facebook page, a number he hopes to increase. The manipulative powers of Instagram have become another influential force in the online networking world for cats. Snoopy Babe, Nala Cat and Mawin Hope, a shelter cat residing in Thailand, are among the most famous felines of Instagram. The exotic Snoopybabe, however, is more of an enigma. Despite having 154,000 followers on Instagram and an army of fans on tumblr, she has maintained her privacy, refusing to answer questions of which breed she is, opting instead to demurely thank her fans for their comments. Some cats have taken their newfound global access to an entrepreneurial level. Maru, a male Scottish Fold cat from Japan, has gone from rags to riches, transforming a hit YouTube channel into lucrative television spots. 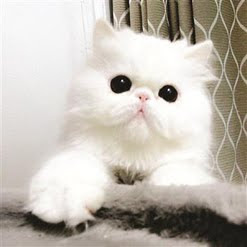 Maru’s anonymous owner launched the photo blog “I am Maru” in November 2007, five months after the cat was born on May 24. He quickly made a name for himself in the YouTube community on his official channel, “mugumogu,” launched almost a year later in July 2008. Featuring Maru’s daily adventures in short video format, the playful footage of him mostly lying around, jumping into small cardboard boxes and sliding across his owner’s wooden floor quickly gained popular momentum. On Sept. 1st, 2009, the first Maru book of photos was published in Japan. Over a year later in August 2010, a second book and compilation DVD were released. Maru’s acting career soon took off, with his videos being featured in web advertisements for the cat litter brand Fresh Step as well as other commercials for products on the Japanese market. Professor and Bugün daily columnist Toktamış Ateş passed away at the age of 68 last night at the hospital where he was being treated, daily Hürriyet has reported. Ateş reportedly died of organ failure. Toktamış Ateş, born in 1944, graduated from the Economics Faculty of Istanbul University in 1967. He became a professor in 1982. 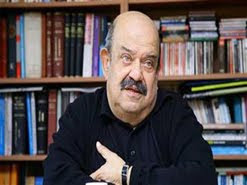 Ateş, who has published more than 30 books, wrote a column for the daily Cumhuriyet for over 10 years. Most recently, he had been writing for the daily Bugün. The funeral ceremony for the prominent journalist Mehmet Ali Birand at Teşvikiye Mosque has ended following the funeral prayer. President Abdullah Gül, Fener Rum Patriarch Bartholomeos, politicians including Deputy PM Bülent Arınç and Hüseyin Çelik and many other famous figures from the world of music to diplomacy, business to religion, attended the ceremony. "We liked Birand a lot. On Jan. 9 we dined at his house and spent an unforgettable time with him. None of us could have imagined such a thing. But God's wish happens all the time. We have to obey God's will. He could have served Turkish society, international society and world peace for far longer. He was a person who was very intellectual, brave and democratic. He always supported the demands of minorities. We are grateful to him," said Patriarch Bartholomeos. "He informed Turks of foreign news and us of Turkey's complex and versatile truth in a persuasive way. He was a hero of freedom and peace. We will always remember him," U.S. Ambassador to Turkey Francis Ricciardone said. "He was a pioneer, a figure who made great contributions to democracy," Deputy PM Bülent Arınç said. His corpse will be buried at the Family Cemetry near the Anatolian Castle. Prominent journalist Mehmet Ali Birand's body has reached Teşvikiye Mosque in the Nişantaşı district of Istanbul, following a crowded ceremony at Doğan Media Center in Bağcılar, where he worked for years. "I have lost my father," a crying Birand's son, Umur Birand, said beside his father's body. Overcome with emotion, he was not able to say anything else. "We couldn't make him stay at home. If he saw this day, he would be incredibly happy. This was a ceremony worthy of presidents," Cemre Birand, his wife, said. Journalist colleagues, friends and politicians attended the ceremony. The one to be held at Teşvikiye Mosque at noon today is expected to be much more crowded. Chief prosecutor of Supreme Court of Appeals asks for annulment of Dink verdict. Chief prosecutor of Supreme Court of Appeals asked for the annulment of Hrant Dink verdict for it did involve "organized attempt" in the murder. "The murder was not just an ordinary killing of a person. The act had the intention to destroy the unity of the Turkish state and create chaos in the society. 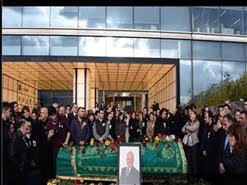 Dink's murder was an organized assassination," the chief prosecutor said. Hrant Dink, a Turkish journalist of Armenian origin, was assassinated in Istanbul on January 19, 2007. Galatasaray has agreed to terms with Inter for the trade of Wesley Sneijder, and the transfer is now down to the persuasion of the Dutch superstar, Turkish media reported today. The Istanbul club agreed to pay eight million euros to the Italian giants in its bid to sign the star midfielder, daily Vatan reported today. The Lions will try to make Sneijder agree a lucrative salary, however, news reports claim that the 28-year-old player is willing to listen to other offers, presumably from top European clubs. Vatan added that Galatasaray offered an initial payment of six million euros in addition to 3.2 million euros yearly salary and 25.000 euros per appearance to the player. Today’s reported agreement between Galatasaray and Inter came a day after the Istanbul club officially announced that it was in talks with the Italians on the signing of Sneijder. Galatasaray made the announcement to the Istanbul Stock Exchange (İMKB) just hours after chairman Ünal Aysal confirmed that they approached Inter Milan for the star. Due to Turkish football clubs being active in the stock exchange as companies, clubs have an obligation to inform the public about transactions. Clubs rarely announce that they are in talks unless they are close to finalizing a deal due to Capital Markets Board (SPK) regulations. However, the summer of 2011 saw Galatasaray announce that it was in talks with Atletico Madrid for Jose Antonio Reyes, Diego Forlan and Tomas Ujfalusi, but the club ended up signing only the latter. Now, persuading Sneijder to continue his career in Istanbul will be the key to the transfer. “England probably has the top league in Europe, so it could be appealing, but Wes would want to play for a top team,” Lerby told BBC Sport last week in response to rumors that Premier League clubs are also chasing Sneijder. The Dutchman has reportedly attracted the interest of Manchester United, Manchester City, Liverpool, Tottenham Hotspur and even the Queens Park Rangers from the Premier League. Although he was instrumental in Inter’s Champions League victory in 2010, Sneijder fell out of favor at the Italian giants since the departure of coach Jose Mourinho and participated in just five matches this season under coach Andrea Stramaccioni. Despite a disappointing campaign, the Dutchman remains one of the highest-profile midfielders in the game today and might be a game-changer for whichever club he decides to ply his trade to. With that in mind, Galatasaray fans took to social media after the club’s announcement late Jan. 7, sending messages not only about Sneijder but also to his wife Yolanthe, brother Rodney, and even his mother Sylvia, to persuade the superstar to move to Istanbul. 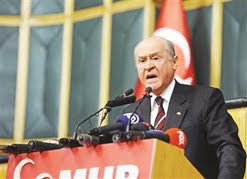 The government, the main opposition party, media, civil society organizations and intellectuals who lent support to the İmralı meetings received severe criticism from Nationalist Movement Party (MHP) leader Devlet Bahçeli during an address to his party’s parliamentary group yesterday. It was the first occasion on which Bahçeli commented on a Jan.3 visit by Peace and Democracy Party (BDP) deputy Ayla Akat Ata and independent deputy and co-chairman of Kurdish the umbrella organization the Democratic Society Congress (DTK) Ahmet Türk to İmralı Island, where Abdullah Öcalan, the leader of the outlawed Kurdistan Workers’ Party (PKK), has been imprisoned since 1999. The meeting took place with the government’s consent. 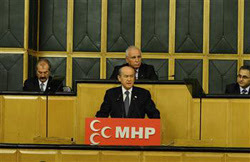 Accusing the ruling Justice and Development Party (AKP) of cooperating with terrorists, Bahçeli said the government’s next steps would offer better conditions for Öcalan, legal amendments in Parliament and finally constitutional amendments; noting that all these steps were related to the project of separating Turkey under a federal system. EU Minister Egemen Bağış, meanwhile, urged Bahçeli not to use the current process with “populist and exploitative” motives. “Let alone allowing disintegration of Turkey, these concepts cannot be even comfortably used by us like Mr. Bahçeli did,” Bağış said. “Nobody should have doubt; our nation’s sensitivity and expectations are also red lines for us.”. A 6.2-magnitude earthquake hit western Turkey today at around 4:10 p.m., according to reports. The quake, which was felt strongly around Istanbul and other nearby regions, was centered in the Aegean region, daily Hürriyet reported. The earthquake's epicenter was 80 to 100 km off of Çanakkale, according to the Kandilli Observatory and Earthquake Research Institute. The earthquake lasted about 30 seconds, Çanakkale Gov. Azim Tuna said. Turkey's Higher Education Board (YÖK) is working on a project to provide equivalency certificates to the graduates of universities in northern Iraq, daily Radikal has reported. If YÖK ultimately chooses to grant the equivalency, the diplomas of those universities' graduates will be valid in Turkey. Authorities in the Kurdistan Regional Government (KRG) first requested the recognition in 2011. 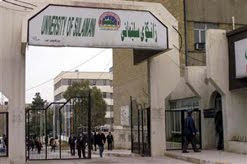 Many universities, including Turkish universities, have campuses in the region that have been providing education since 2003. Fidel Castro, Mikhail Gorbachev and Pope Benedict XVI – Italian Tommasso Debenedetti has killed them all in fake tweets aimed at exposing shoddy journalism that have earned him global notoriety. The latest victim of Debenedetti’s unusual hobby is British author JK Rowling, whose death in an accident he announced from a fake Twitter account purporting to belong to fellow writer John Le Carre. “Death works well on Twitter,” Debenedetti, who is in his 40s and says he teaches literature at a school in Rome, told AFP in a phone interview. Debenedetti said that when he saw his Le Carre account had 2,500 followers including journalists from major British, German and US media, “I decided to make John Le Carre say JK Rowling had died”. Debenedetti said the tweet was then retweeted hundreds of times and a Chilean television station even gave the false news as fact. The literary fake artist says his aim in all of this is to “show that Twitter has become a news agency – the least reliable in the world. “Unfortunately, journalism works on speed. False news spreads exponentially,” he said, pointing out that retweets by journalists lend credibility to rumours even if they are not actually published. “In the end, everyone forgets what the original source was,” said Debenedetti, who in perhaps another slight of hand insists his first name be spelled “Tommasso” and not the more usual “Tommaso”. Among his many claims to Internet infamy, Debenedetti boasts of having forced Vatican spokesman Federico Lombardi to deny the pope had died after sending a false tweet purportedly from the Vatican’s Secretary of State Tarcisio Bertone. He claims his tweet announcing the death of Syrian President Bashar al Assad made the price of oil go up and that another one about the demise of last Soviet leader Gorbachev prompted someone to go and update his Wikipedia page with the day of his death. Debenedetti calls these his “games” and appears unconcerned about any unease they may cause, saying that he comes out and claims the rumour as his own invention within an hour of sending the first tweet. “I only target leading figures who have all the means at their disposal to respond very quickly. I would never announce the death of a lesser-known writer or my next door neighbour,” he said. Journalists “should be more prudent and carry out all the necessary checks, particularly in local media, local radio and Internet sites which fall most easily into this trap,” he said. “I just want to show up the fragility of social media, where anyone can be anyone,” he said. Debenedetti also has a more postmodern literary side and he has created false Facebook pages for writers Umberto Eco and Mario Vargas Llosa, quoting them saying improbable things that they never said. The grandson of a famous Italian literary critic, he has also authored dozens of fake interviews with famous writers which he says he has managed to place in a variety of media as the real thing. It was Debenedetti’s made up interview with Philip Roth that revealed his elaborate ruse after some US journalists asked the famous writer about some comments against US President Barack Obama quoted in some media that he had in fact never made.